For such a seemingly small addition, the recently added ability to mark objects in PlayerUnknown’s Battlegrounds is causing quite the stir in the community. In this week’s PUBG PC test patch, which has yet to actually hit live servers, PUBG Corp. added a Rainbow Six Siege-style ping marker. Players can simply place this marker with the press of a button, notifying teammates about a target, or simply marking the direction everyone should face/go. Previously, players were only able to place markers using the world map. These markers will be visible on the compass and the map for teammates, but not in their 3D field of vision. This introduced a pause in the action while one player tries to figure out where the building/object they’re looking at is represented in the world map. It also ensured teammates will too have to take a few moments to parse out this information, either with the help of voice comms or by opening up the map and figuring it out from there. This wasn’t an elegant system – likely by design – but it forced players to communicate regularly as a result, upping the skill required to be good at PUBG. While the new system doesn’t get rid of that, it makes it possible to quickly divert everyone’s attention to something in the 3D world, in real time with unprecedented accuracy. Of course, the uses for a Rainbow Six-style ping marker are too many to count. The most obvious of which being that it makes communicating much easier, especially for new players and those not familiar with PUBG lingo (wizard towers, etc.). In that sense, it lessens the reliance on the compass, reading the map, and identifying targets at range. Now, you can easily mark the specific window your enemy is shooting from, without having to spend a few seconds explaining their location to your teammates. But, not everyone is a fan of the new ping marker. Quite a few players, in fact, have voiced their concerns on Reddit. Some said being that able to quickly mark enemy positions removes an element of skill from the game, and makes communication and map knowledge redundant. PUBG Twitch Streamers Swagger, Shroud and many others had a similar stance. Swagger believes it not only makes it much easier to locate enemies, it also has the potential to make the game harder for players despite its intention. The example they gave is that good players will know exactly where an enemy is before they can even see it, assuming a teamate tags their location, which allows said players to peek out and line up a shot much faster than before. You won’t need to peek and scan, just peak and shoot since there’s no point in searching. 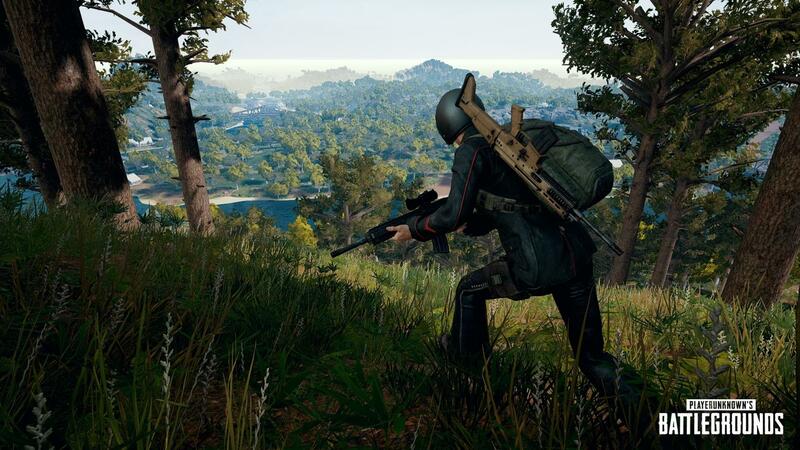 In response, PUBG communications lead Ryan Rigney, said that player concerns are being heard. “This criticism actually strikes me as super legit,” said Rigney, referring to Swagger’s video demonstrating how the feature could be abused. There’s also the fact that, as it stands, you can bind ping to the same button you use for shooting, meaning it’ll automatically place a marker anytime you fire at an enemy, which provides near real-time tracking of the opposing player for your teammates. “I think we’ll see major changes before this goes to live. The debate around this feature has actually been very healthy and informative [in my opinion]. Keep it coming [please],” added Rigney. Reddit user Sandersism offers a solution that should satisfy both parties. “The easiest compromise, and the one that makes the most sense, is for the ‘ping’ to show up on the mini map, the map, and the compass, but not in the player’s actual field of view,” they explained. Update 19 does not yet have an official launch date, so PUBG Corp. at least has time to tweak the feature before the rest of the player base gets it.